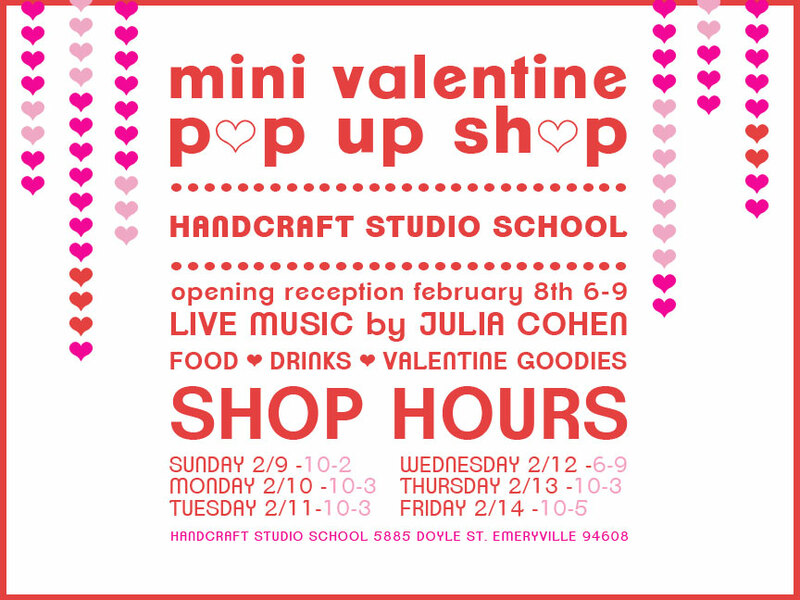 Join us at the studio for a mini valentine pop up. Opening reception Saturday February 8th from 6-9pm with food, drinks and live music by Julia Cohen. See shop hours on the image below.